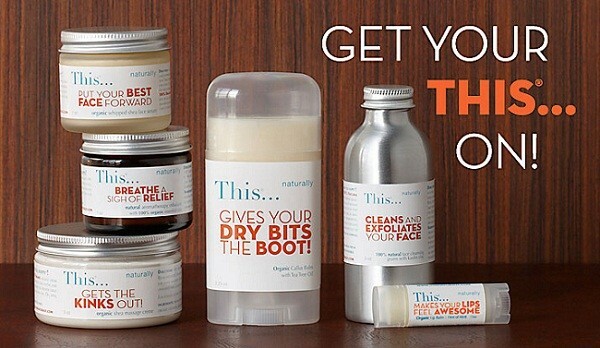 This… Naturally products are made with real natural ingredients that are healing and nourishing. I picked out the Organic Whipped Shea Face Serum to try out, which contains: 100% Organic Ingredients: shea butter, jojoba oil, rose hip oil, sea buckthorn oil, pomegranate seed oil, rosemary oil extract (a natural anti-oxidant), tapioca starch, calendula powder and essential oils of: cajeput, rosewood & lavender. All of the ingredients are easy to pronounce and not at all bad for our systems. The reason I picked out the This… Naturally Face Serum, is because I happen to have very dry skin three out of the four seasons of the years, Spring, Fall and Winter unless the Santa Ana winds are blowing here in Los Angeles over the summer, in which case my skin dries up then too! The tagline for This… Naturally’s face serum read “Put Your Best Face Forward,” which I believe means that they want you to exude confidence. When skin is very dry it can get flaky and very unattractive. This product helps a lot with that. The consistency is like that of a lip balm in a buttery yellow and is easy to apply after warming between your fingers. I personally put on This… Naturally’s face serum on after I shower, which is when my face feels the tightest. I let it sit on my face for about 5 minutes before applying my makeup, letting my skin absorb the serum and soften. The scent is a mixture of the essential oils it contains: cajeput, rosewood and lavender. It has a very soothing scent, perfect to wear at night, because it is also relaxing. After washing my face, my skin feels dry and I make sure to add on some of the face serum to soothe it. I’ve also been using the Organic Lip Balm with Jojoba Oil, for my lips. With dry skin comes dry lips and it is quite the burden. I absolutely loathe how awful my lips feel, but after scrubbing them I have been making sure to apply This… Naturally’s lip balm. It definitely has been making a difference in comparison to other lip balms and chapsticks. The cooling mint has a calming effect on my dry scrubbed lips that I need and I also use this through out the day. My skin is so dry I'm willing to try this product. I've been consuming lots of lotion and usually I use a sweater to moisturize my skin by adding moisturizer behind it! I have two tubes of Chapstick that are almost used up. I’m going to continue using them until I just can’t possibly get anymore out of them. Great product. I recommend with trust.